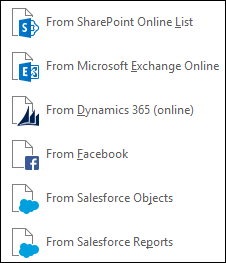 Use Excel's Get & Transform (Power Query) experience to import data into Excel from a wide variety of data sources. 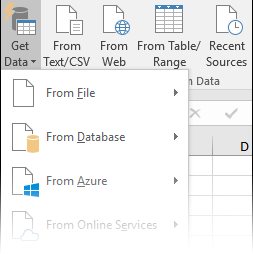 You can then use the Query Editor to edit query steps to shape or transform data. For more information, see Shape data. Legacy wizards have been maintained for familiarity and compatibility with earlier Excel versions. 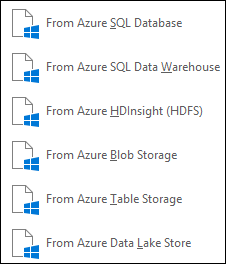 Note that the experience is not as robust as the equivalent Get & Transform experience with Power Query. See: Unified Get & Transform. For information about prerequisites, see Data source prerequisites. Before you can combine data sources into specific data that match your data analysis requirements, you connect to a data source based on your data source Privacy Levels settings. 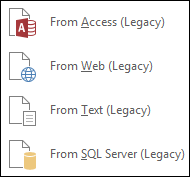 Note: The Query Editor only appears when you load, edit, or create a new query using Power Query. The following video shows the Query Editor window appearing after editing a query from an Excel workbook. 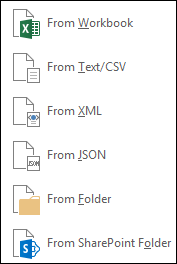 To view the Query Editor without loading or editing an existing workbook query, from the Get External Data section in the Power Query ribbon tab, select From Other Sources > Blank Query. 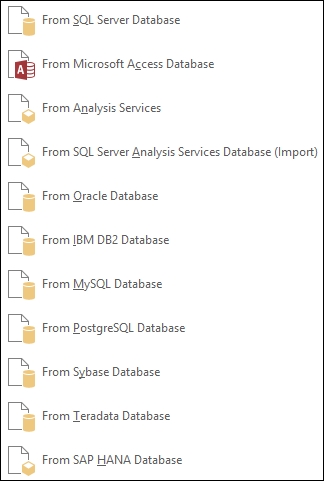 The following video shows one way to display the Query Editor.